Terry Gou, Taiwan's richest person, will bring his pro-business and pro-China policies to what is expected to be a crowded field for next year's election. Gou announced that he would be putting himself up as a hopeful in the opposition Nationalist Party primary ahead of next year's election, shaking up the political landscape at a time of heightened tension between the self-ruled island and Beijing. "Peace, stability, economy and future — these words are the script of my religion," Gou said. The Nationalists favor closer ties with Beijing, a policy that accords with Gou's massive business interests in China, where Foxconn produces products for Apple, Google and Amazon. Foxconn has also said it will build a major manufacturing facility in the U.S. state of Wisconsin. 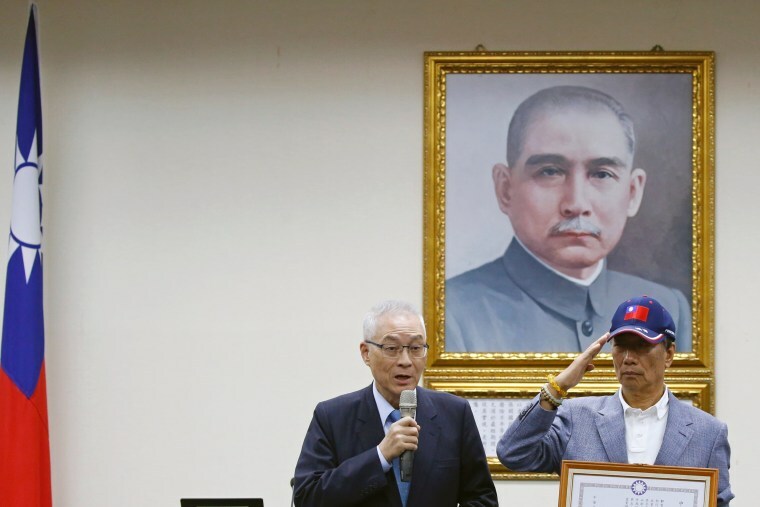 Gou is likely to face criticism from China skeptics in Taiwan, said Huang Kwei-bo, vice dean of the international affairs college at National Chengchi University in Taipei. Foxconn factories employ hundreds of thousands of people in China and have a reputation for sometimes harsh work conditions. Gou also has a reputation for being strict with employees, Huang said. "His personality is sort of the same as Trump: 'What I say, is what goes,'" Huang said.